Brinno is a manufacturer of cost effective, easy to use time lapse and security cameras. BrinnoUSA.com is brought to you by Phase 3 Systems, the Master Distributor of Brinno products in North America. We are dedicated to product sales and support in North America, please visit Brinno Global for additional product information. The new Brinno TLC120 is now available in Black or Orange. 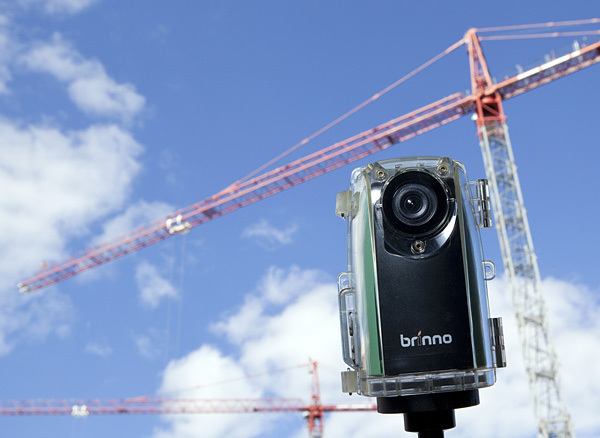 The Construction Cam Bundle from Brinno, packages the TLC200 f/1.2 Time Lapse Video Camera with a weather-resistant housing and a wall mount with a ball joint. Everything you need to document your construction project from start to finish. Brinno makes HDR time lapse easy. Capture stunning high dynamic range time lapse videos with the touch of a button. Time lapse videos this easy have never looked so good. See and record your visitors on a big, clear digital display. Review the images with the push of a button.